It has been an epically cold and snowy winter here in MN and despite getting my All City Macho Man shod with studded tires I have not logged nearly enough miles to prepare for our upcoming tour of Holland, Belgium and France. As it turns out this would have been the perfect winter to get that new Surly Fat Bike. So instead I have been planning…planning the tour itinerary and route, planning new bike builds, and planning our days sightseeing in Amsterdam and Paris to see the things we have both missed on previous trips. Studies show that planning for a vacation is is enjoyable as taking the vacation and I think this is true. After all it is the anticipation of a thing, whatever that thing is, that is the next best thing…I found a book on cycle tours of Europe which we have taken a few days worth of routes out of, we have hummed and hawed about exactly how to tackle the journey and we have booked the bookend accommodations in Amsterdam and Paris, along with a mid trip stop in Brussels, which is altogether just enough planning for this juncture, and covers all the spots where I can get hotel rooms using Starwood points. 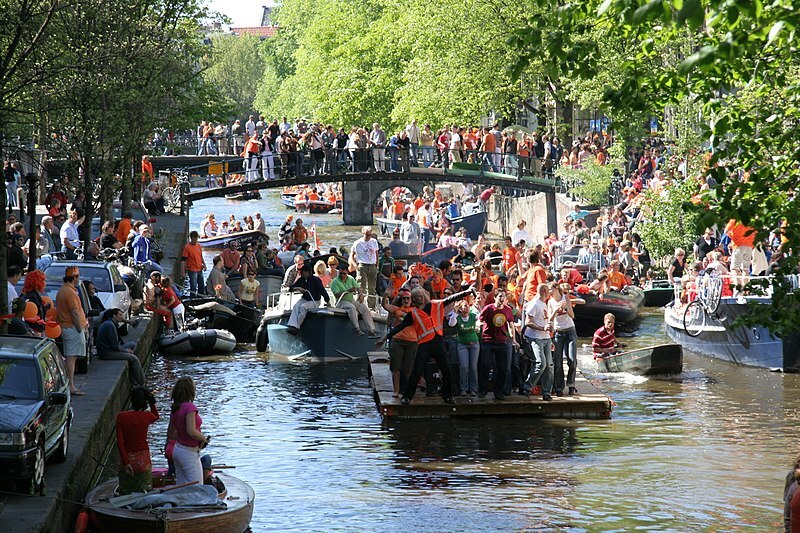 We are looking forward to the celebration of Kings Day with Beth’s friends and I am particularly excited about the idea that it is a holiday marked by having big flea markets. Can’t wait to find some cool Dutch second hand stuff to ship home! The bike builds are coming along nicely. Beth’s Trek is nearing completion and I will post the full details of both bike builds at a later date. I will be running a battery powered lighting setup so I figured it made sense to put a dyno on Beth’s bike since she rides less frequently and for everyday riding once we return she would be less likely to have her light charged up all the time. This way we can have the piece of mind that whenever she or Ashlyn needs to ride at night there is a bike that will always be ready to rock with full lights and racks. On the flip side I like the idea of having one battery powered light that can be used as a flashlight and/or work light off the bike. To me this seems like the most sensible configuration for two person touring. One with dyno powered lights and one with rechargeable lights. I’m going to stick with the original stock 27″ wheels on my Miyata 610 touring bike since this rig was originally built for loaded touring, appears to be in great shape and I can get Schwalbe Marathon touring tires in the right size. 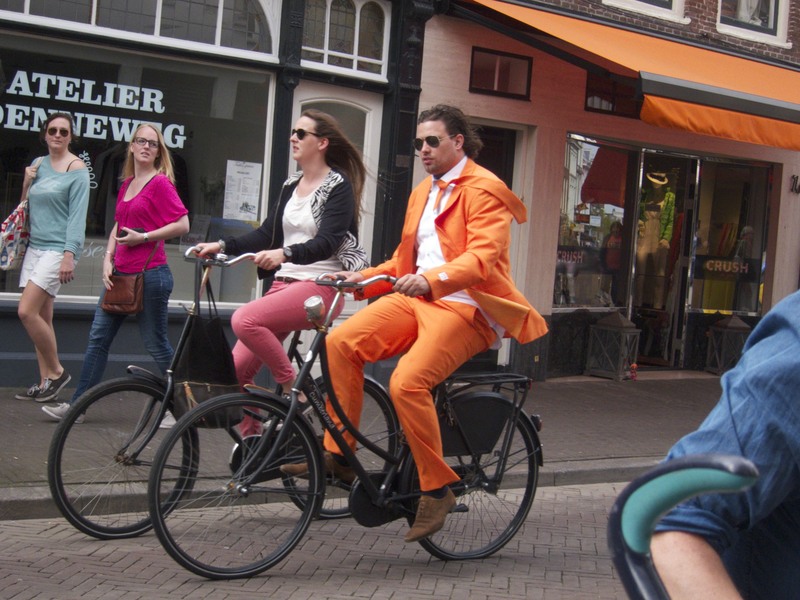 I will bring one spare tire for the 27″ wheel bike and one for the 700C as well as some spare tubes and we should be fine for the type of touring we are doing. Right now I am researching clothes and packing to figure out how best to minimize our load while ensuring we have just the right gear to see us through whatever situations we encounter on and off the bikes. 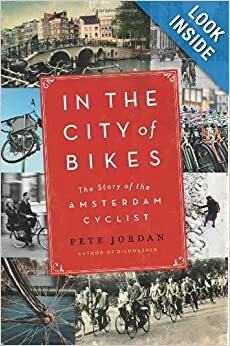 I’ve just finished reading In the City of Bikes, which is a great book on biking that also offers up a unique perspective on history. and is highly recommended. In addition we are using the DK guide to the Netherlands, Rick Steve’s guide to Amsterdam, Bruges and Brussels, a the Cycle Europe books to do some early stage planning.